Everything you need to know to organise or attend business events in Barcelona. It’s no coincidence that Barcelona is a favourite destination for companies looking to organise corporate events and incentive travel, as the city has all the ingredients to make your event memorable for all the right reasons. Easy transport to most major UK and European cities from the international El Prat airport, year round good weather, a fine selection of four-star and five-star hotels (as well as plenty of other more affordable accommodation options – check out our article on renting apartments), any number of exciting activities to choose from, whether you’re into water sports, adrenaline activities or need to organise a challenging team building event, plus a fantastic dining and nightlife scene to keep people entertained at night. Barcelona’s reputation as one of the world’s most exciting and beautiful cities is well deserved, so if you’re looking to get your team truly motivated then you can rely on the Catalan capital to provide the wow factor. Whether you’re looking to put together a bespoke corporate event for your own team or company, or need some tips and ideas on corporate entertainment for a big client then read on. Barcelona is also famous as a trade fair and conference city, and if you’re planning on attending one of the big ones, such as the Mobile World Congress, the International Motor Show, Design Week or The Brandery (to name but a few), then we’ve got some tips for you. We also collaborate with a top destination management company in Barcelona, so if you need help finding a conference room to run your own seminar, or advice on any of the options below then simply email us to get the ball rolling. If it’s old fashioned incentive travel you’re after then you’re spoiled for choice in Barcelona. There are a billion ways to reward your staff for their efforts… starting with tickets to FC Barcelona of course! If a day at the Camp Nou doesn’t appeal, then you might find a wine tasting tour of the nearby Cava vineyards the perfect activity or go aerial with a ride in a hot air balloon, helicopter flight or even skydiving adventure. Naturally, classic events like go karting, paintball and quad-biking can easily be arranged, but don’t forget that you’re parked up against the glittering expanse of the Mediterranean sea – meaning options like sports fishing, sea kayaking or a leisurely sunset cruise and dinner are all viable too. Recommended Reward Activity: If you had to push us for a favourite, well nothing quite says reward like a ride in a Ferrari (or Lamborghini, McClaren or Maserati). Our partners can handle up to 200 people, organising tours of Barcelona, track racing or road routes to treat your high performing staff. 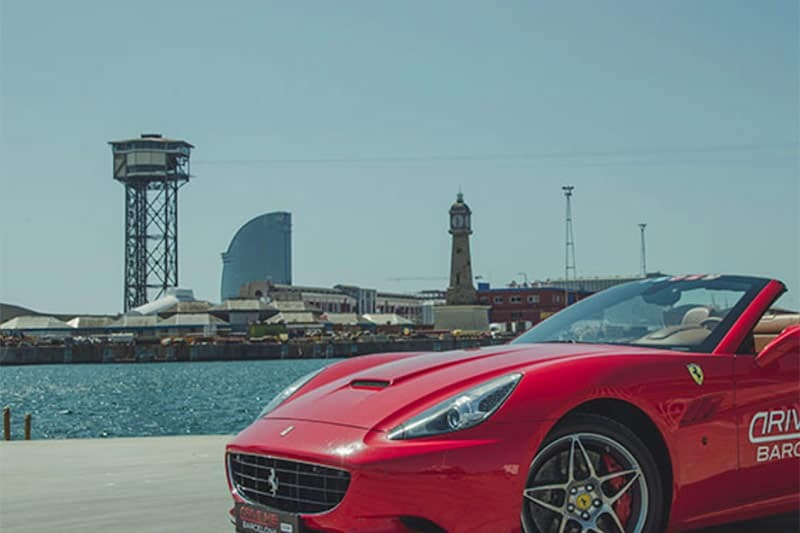 To book a sports car event, or anything else you see mentioned on this page, just drop us a line at info@barcelona-life.com and tell us your group size and preferred dates. We’ll get back to you ASAP. If the main purpose of your business trip to Barcelona is to train and motivate your staff, then a team building challenge that teaches and tests communication and teamwork skills could provide the solution you’re after. For small groups a Spanish cooking class can be a lot of fun, and a good way to bond over food and drink. For medium sized groups a wine tasting session with a competitive element can work well. Whilst for larger groups a treasure hunts, where teams pit their wits against each other in a race across the city is both a fun – and very affordable – choice. Many activity options here. Recommended Team Building Activity: For our money, the king of the team building challenges is the sailing regatta. 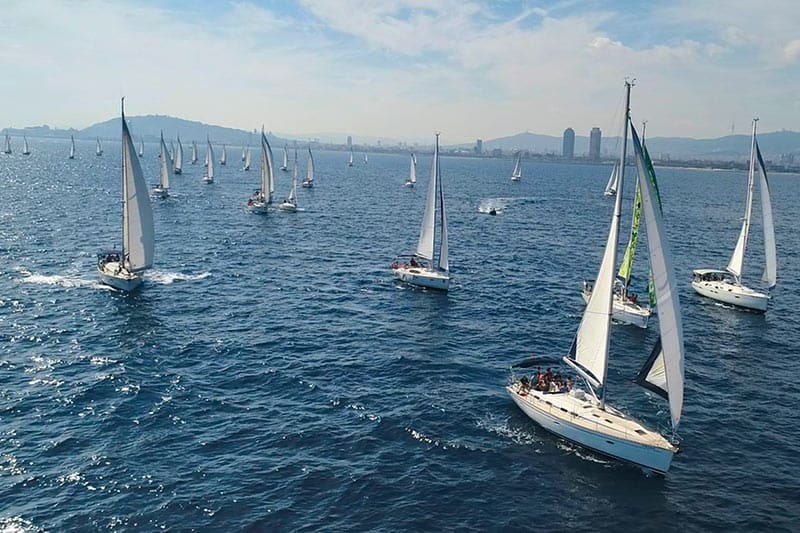 Accommodating between 8 and 400 people, this three hour event is a technical, physical and mental test as your staff – under the supervision of qualified skippers – crew a fleet of small nimble craft in a race against one another. 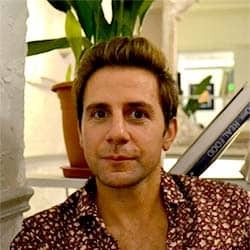 Need more info, or want an exact quote? As always just drop us a line on info@barcelona-life.com and we’ll be glad to help. Got some clients you need to impress? In Barcelona this shouldn’t prove too tricky! Fans of the beautiful game will swoon at the contents of the average FC Barcelona hospitality package, which off season could even include player appearances or the chance to organise a friendly in Camp Nou itself, whilst it’s always easier to get someone’s signature when they’re sitting in a director’s box watching the F1 Spanish Grand Prix. Other options for spoiling clients could include chartering a yacht for a spot of sailing, a Ferrari drive or perhaps just a swanky bit of nighttime entertainment with top class catering, DJs/bands and hostesses at a five star hotel or swish lounge bar. Email us with your requirements and we’ll get back to you with some options. If you need to organise your own business related event, be it a gala reception, presentation or post seminar drinks, perhaps as an offshoot of one of the city’s major conferences (see below! ), then you’re going to need a venue. Many of the city’s larger hotels will have meeting rooms you can use for presentations, and you could search our accommodation section for some options. For a more less stuffy environment with easy catering opportunities check out these venues and bars that cater for big groups. Recommended Events Venue: For something more charismatic than a hotel, and more formal than a bar, you might want to consider hosting your event in one of Barcelona’s grandest guild houses – La Casa de la Seda. The House of Silk, to give it its English name, is a wonderful 18th century Baroque building with several spaces for hire, starting with its impressive Guild Hall (120 capacity), but also including an extremely elegant Meeting Room (18 capacity), Hall and Living Room. You can find more details on their website. Barcelona plays host to hundreds of international conferences and trade fairs throughout the year, with some of the major ones being The Mobile World Congress (Feb / Mar every year), IBTM World (November), The Salon Nautico (ie. Barcelona Boat Show, every October) and Construmat (in May). For a full and current list of events coming to the Catalan capital soon check out the website 10times. Most of the major trade fairs take place in either the CCIB or one of the two Fira Barcelona venues (Fira Montjuic and Fira Gran Via, which is just out of town towards the airport). Whilst Barcelona has plenty of hotel rooms, it also has plenty of guests, so if you are arriving for one of the big trade fairs or any other major event then you should try to book as far in advance as possible. Accommodation standards are exceptionally high in BCN however rooms are also pretty damn pricey, so you may want to shop around. If you’d rather someone else takes the hassle out of booking your hotels/beds then drop us a line on info@barcelona-life.com and our DMC partners will do the leg work and get back with some quotes. Their contacts mean they can often get a cheaper deal than you would yourself. They can also help with transfers from El Prat airport to the city centre.